Thule, Greenland — On May 5, 2011, Operation IceBridge completed its third and final flight in conjunction with an experiment operated by the European Space Agency (ESA). 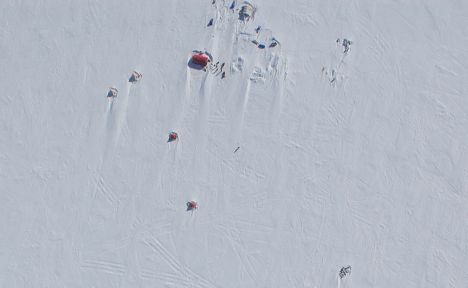 The experiment, called CryoVEx, is a series of ground-based calibration sites for ESA’s ice-observing satellite, CryoSat-2. IceBridge flights over these calibration sites ultimately are expected to provide data to evaluate and improve remote-sensing measurements. “The collaboration will also help us to jointly interpret measurements collected from the ground, air and space, advancing our understanding of ice sheets and sea ice, and their response to climate change,” said Michael Studinger, IceBridge project scientist. The morning of May 5 started like most days in the field with IceBridge – with an early-morning weather brief. Poor weather afflicted most remaining science sites accessible by the P-3 that day, so IceBridge teams looked toward Canada. 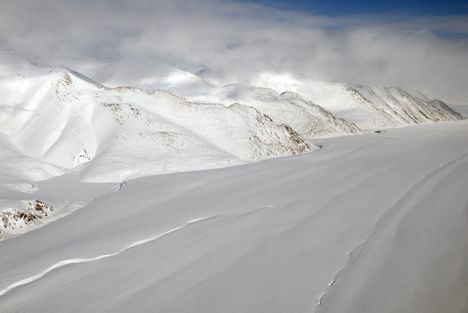 A phone call to researchers at Summit Camp on Canada’s Devon Ice Cap – the site of the final CryoVEx site – revealed good conditions. In the Arctic, however, weather can turn on even the best-informed observations and predictions. Still, the clouds parted long enough for the Airborne Topographic Mapper (ATM), a laser altimeter that measures surface elevation, to achieve good data from 75 percent of the area surveyed on the Devon Ice Cap. 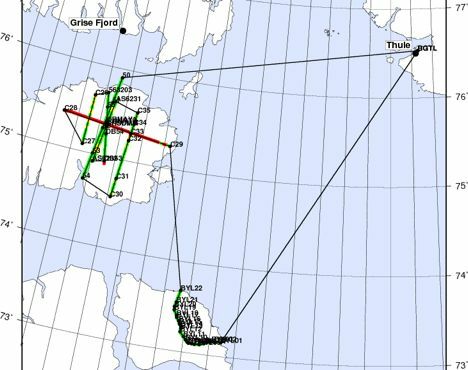 The campaign’s previous collaboration with CryoVEx included a flight on April 15 over sea ice, and on April 26 over the interior of the Greenland Ice Sheet. “This has been a great collaboration between ESA and NASA for cryospheric and airborne science, and will no doubt lead to further joint activities in the future,” Studinger said.